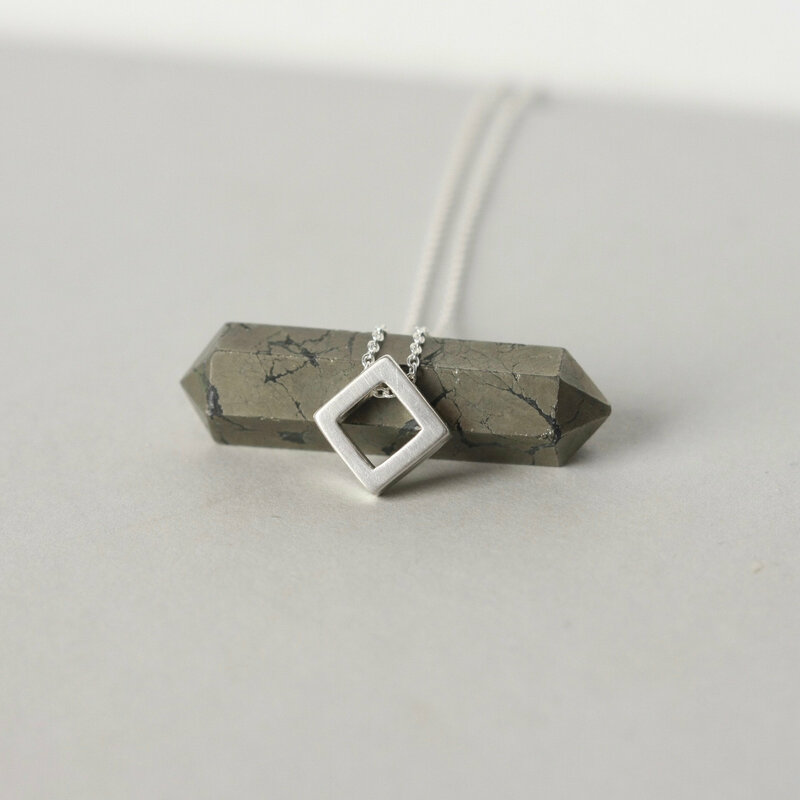 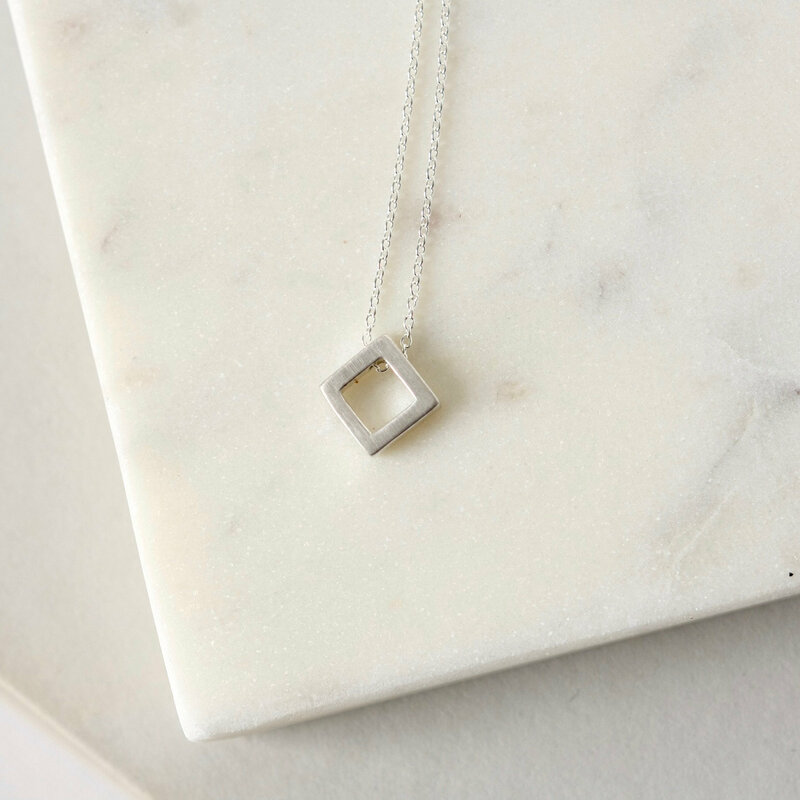 You can't go wrong with sleek geometric jewelry! 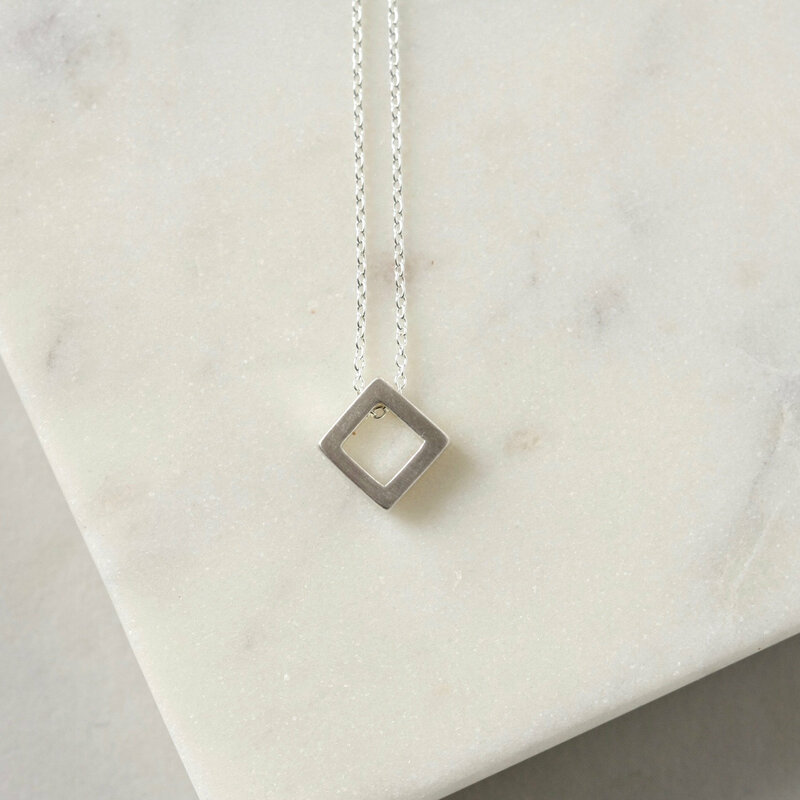 This necklace features a brushed sterling silver diamond charm free floating on dainty sterling silver cable chain. 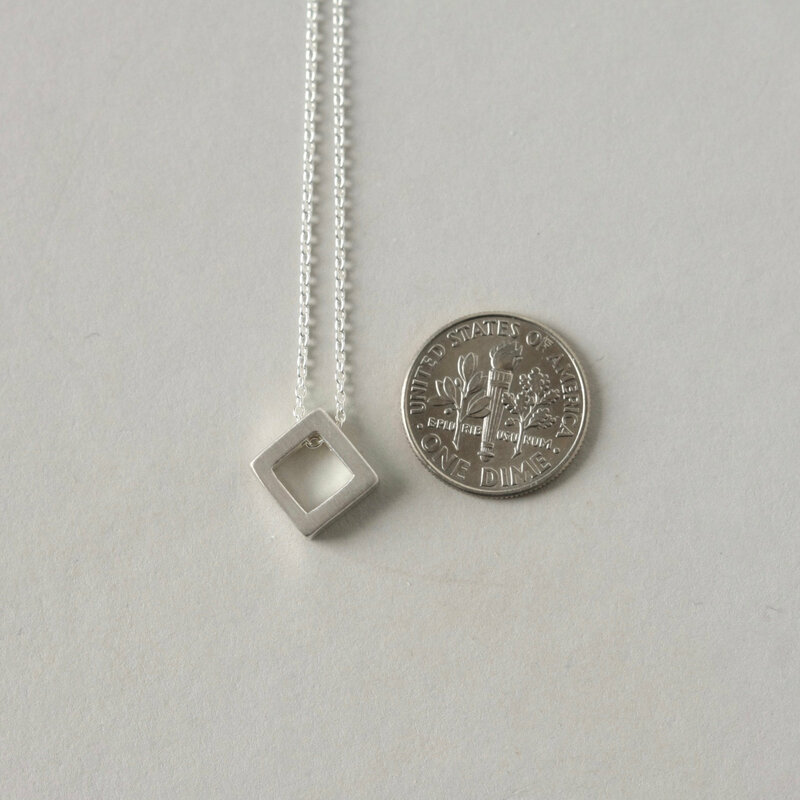 The diamond charm is 12mm wide and has a subtle matte sheen. 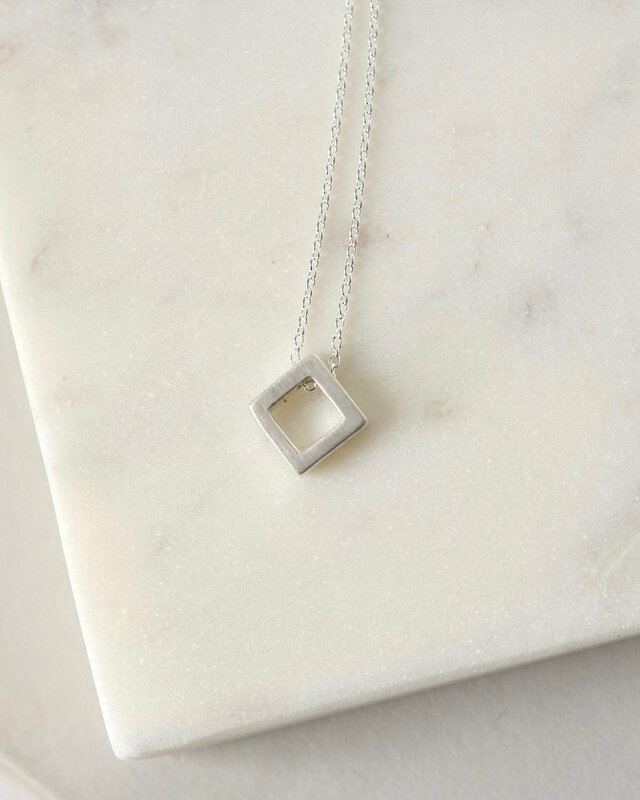 The necklace boasts a simple stylish look that makes it a great everyday accessory. 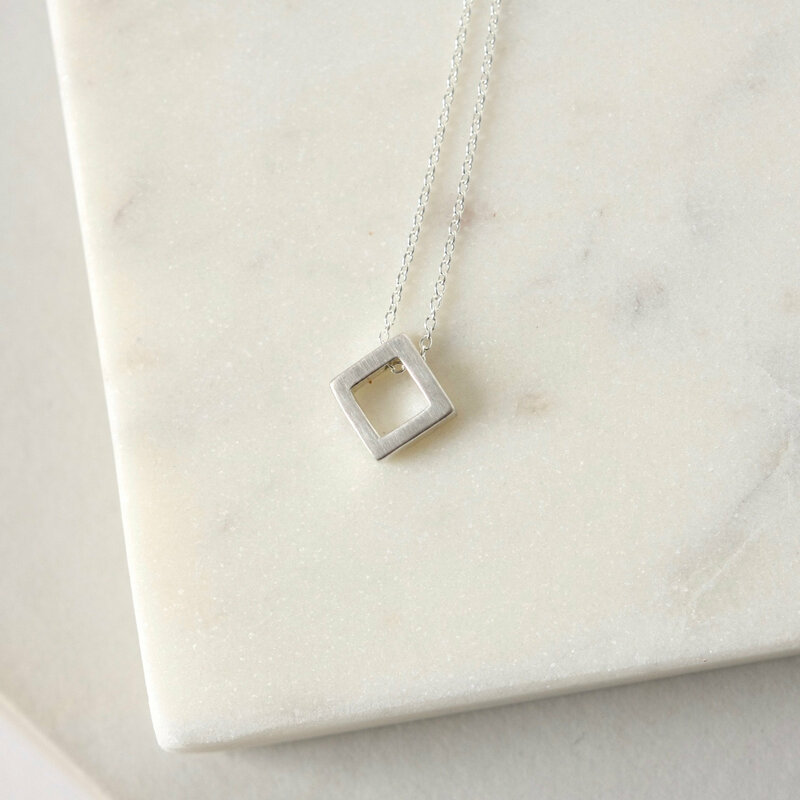 It is fastened with a sterling silver spring ring clasp and you can choose your desired length from the drop-down menu above.